Betsy Korpela, Executive Vice President, Finance & Administration for Consolidated Insurance + Risk Management, has been named President of Intersure. Betsy becomes the first woman to hold the position of President in the organization’s history, serving a two-year term that commenced on November 8, 2018. Intersure is a group of independent insurance brokers that have partnered to share ideas, help each other grow, and above all, challenge each other. Intersure member companies are committed to each other at the deepest level and share openly — knowing that what’s said between partners is confidential. They facilitate a rare opportunity to explore how similar (but non-competing) firms are operating and network with like-minded professionals. “It is an exciting time in the evolution of Intersure and with Betsy’s energy and enthusiasm, we look forward to expanding our footprint and continuing to increase our membership value,” said Ruth Manka, Executive Director of Intersure. 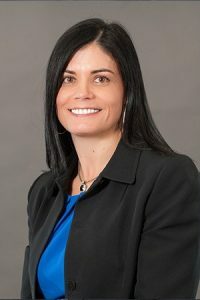 As Executive Vice President of Finance and Administration at Consolidated, Korpela oversees the daily operations for all departments of the agency. She began her agency career in 1994 as an Accounting Specialist for Consolidated, and has held titles including Controller, Chief Financial Officer, Secretary/ Treasurer and Member of the Board. Today, Korpela’s title includes roles as Chief Financial Officer and Secretary/ Treasurer, Human Resources, Operations Management, and she continues to serve on the Board. She actively chairs and/or participates with various insurance industry groups and councils, which not only provide beneficial support to the agency but also allow her to share her expertise with others in the industry. With a legacy dating to 1938, Consolidated has grown to become a regional leader in insuring businesses of all sizes as well as residential customers. Today, Consolidated pursues a mission of seeking out and understanding its clients’ individual stories to offer risk management solutions tailored to the individual needs of each enterprise.